This weekend was filled with the normal family stuff. The unusual part was running into a girl I grew up with. It was such a nice surprise to see her and meet her husband! You know how it is when you recognize someone but you can't quite place them. It was like that because I haven't seen her in over 20 years! We used to see each other almost daily! I finished knitting my Beatnik Cowl. It was a fun easy knit that let me play around with changing colors. But oh those stripes! I didn't think they would ever be done! I did everyone a favor and had my pretty daughter model it for me! You are so welcome! Beatnik Cowl after the jump! I bought the yarn and needles at the oldest yarn shop in America. Heindselman's Yarn has been open since 1904! How cool is that?! They don't have a website but here is a nice write up. The current owner, not the one who opened the store in 1904 (heehee), helped me pick the perfect needle for my cowl. It is the Addi Turbo Lace. This is the most expensive needle I have ever purchased and I don't regret it for a second. The yarn slides around like silk on this circular needle. 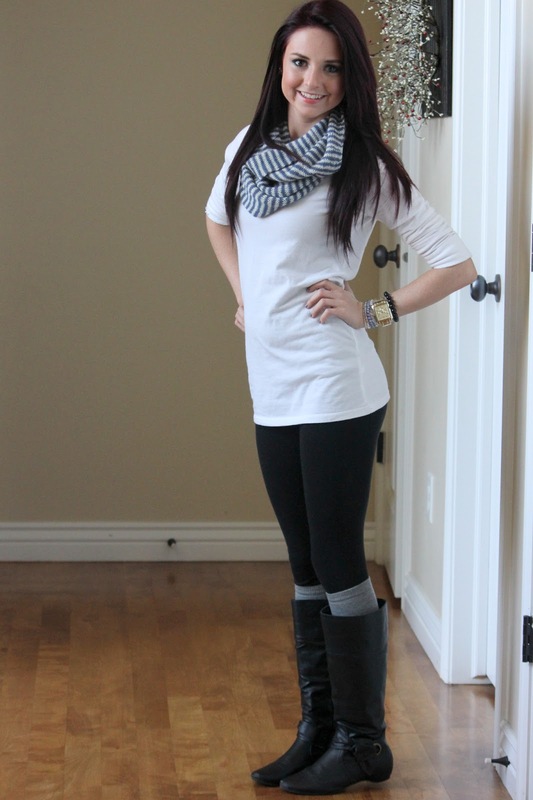 I've worn my Beatnik a few times and I've loved it! It was worth the never ending stripes. Beatnik Cowl Pattern The pattern's only $2!! 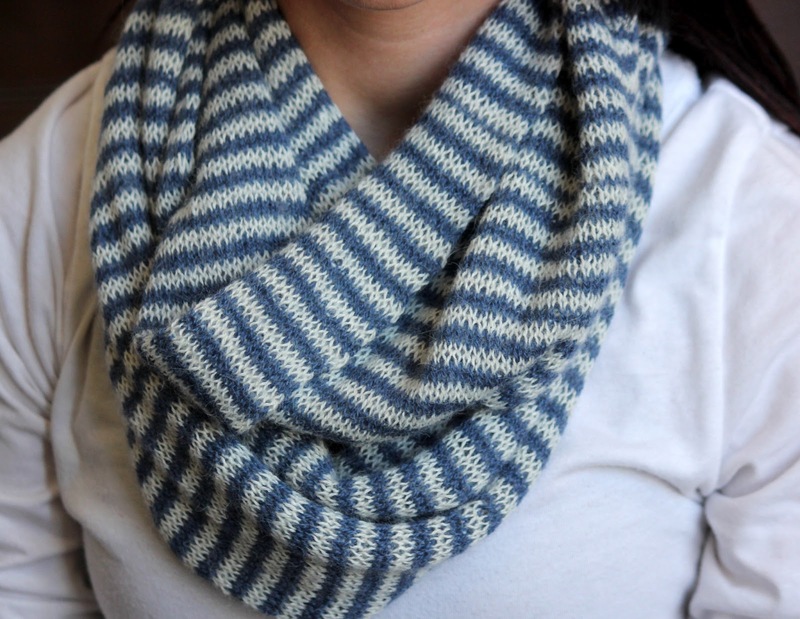 I may knit up this Burberry inspired cowl next. 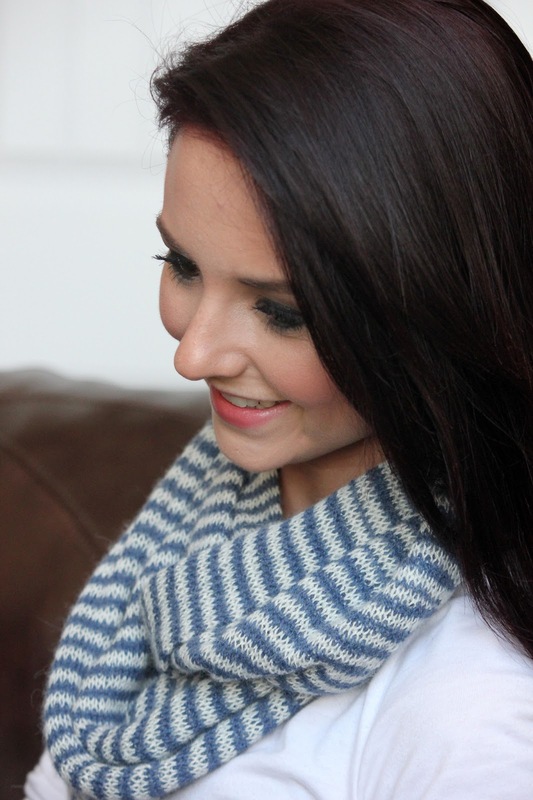 This texture on this Infinity Scarf is lovely. Another Striped Infinity, give me!